For many years, retirement villages Johannesburg features, have offered excitement and convenience. They are close to top hospitals, recreation centres, exquisite shopping centres and sports clubs. You’ll never be far from quality, convenience and choice if you choose Johannesburg as your choice of city for your retirement. 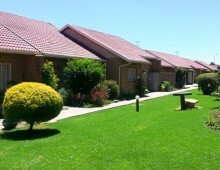 This quaint Johannesburg retirement village contains both cottages and flats. It's set in beautiful established gardens with large green lawns and colourful flowerbeds. The Fairland Retirement Village is near the Cresta and Northcliff Shopping Centres. Not only is it set in a beautiful green and colourful garden, you’ll also be in the company of a really happy, big family community that genuinely cares for one another. 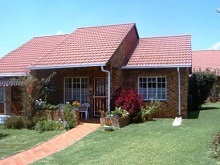 string(1425) "For many years, retirement villages Johannesburg features, have offered excitement and convenience. They are close to top hospitals, recreation centres, exquisite shopping centres and sports clubs. You’ll never be far from quality, convenience and choice if you choose Johannesburg as your choice of city for your retirement. Retirement Villages Johannesburg: Orchid Place Retirement Village Johannesburg Orchid Place retirement village is situated in Houghton. 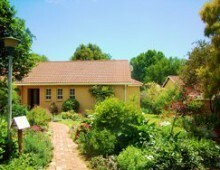 It has 10 quaint but comfortable and spacious cottages, all set in beautiful and established gardens. These retirement village units offer a secure environment with garage and a community centre, bustling with social activities… Read more here…     Kensington Gardens Retirement Village Johannesburg This quaint Johannesburg retirement village contains both cottages and flats. It's set in beautiful established gardens with large green lawns and colourful flowerbeds. Find out about tenancy rights here…     Fairland Retirement Village Johannesburg The Fairland Retirement Village is near the Cresta and Northcliff Shopping Centres. Not only is it set in a beautiful green and colourful garden, you’ll also be in the company of a really happy, big family community that genuinely cares for one another. Read more here…          "
string(38) "retirement villages johannesburg north"
string(55) "THE "MUST SEE" RETIREMENT VILLAGES JOHANNESBURG BOASTS!" string(1719) "For many years, retirement villages Johannesburg features, have offered excitement and convenience. They are close to top hospitals, recreation centres, exquisite shopping centres and sports clubs. You’ll never be far from quality, convenience and choice if you choose Johannesburg as your choice of city for your retirement. Retirement Villages Johannesburg: Orchid Place Retirement Village Johannesburg Orchid Place retirement village is situated in Houghton. It has 10 quaint but comfortable and spacious cottages, all set in beautiful and established gardens. These retirement village units offer a secure environment with garage and a community centre, bustling with social activities… Read more here… Kensington Gardens Retirement Village Johannesburg This quaint Johannesburg retirement village contains both cottages and flats. It's set in beautiful established gardens with large green lawns and colourful flowerbeds. Find out about tenancy rights here… Fairland Retirement Village Johannesburg The Fairland Retirement Village is near the Cresta and Northcliff Shopping Centres. Not only is it set in a beautiful green and colourful garden, you’ll also be in the company of a really happy, big family community that genuinely cares for one another. Read more here… Rose Village Retirement Village Johannesburg This relaxed and beautiful retirement village is situated in the heart of the green belt nestled by the Emmarentia dam, parklands, the bird sanctuary, Melville Koppies and a rose garden. In this relaxing serene environment, it's surprising to know it's also close to shopping and recreation centres as well as a number sports clubs and medical facilities. Read more here…"